Beginning with simple sensory experiences and experiments, the author leads us to an understanding of colours, rainbows and colour circles (as created by J. W. Goethe, Rudolf Steiner and Harald Küppers). He gives simple but vivid explanations of the basic colours, the complementary colours, and the mystery of coloured shadows. He also gives a commentary on the psychology and mythology of colours, and demonstrates connections between them, the planets and the signs of the zodiac. Colour is a delightfully illustrated introduction to the world of colours. Packed with full colour pictures, it leads from perception to understanding, and from experience to practice. 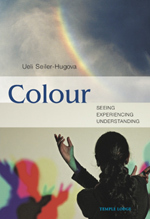 This book is ideal for parents, teachers and anyone seeking to develop a deeper knowledge and appreciation of the phenomenon of colour. UELI SEILER-HUGOVA (b.1942) attended a Steiner-Waldorf school, trained as a primary school teacher and studied at Berne University and the Zurich Institute for Applied Psychology. He was head teacher of a state school from 1972 to 2006, and is currently director of the Independent Seminar for Institutional Education at Schloessli Ins, Switzerland. He is also a guest professor for education at the University of Latvia, Riga, a teacher at the Technical University for Artistic Social Therapy in Prague, and collaborates with the Research Project on Integral Education at Regensburg University. Ueli Seiler-Hugova gives lectures and courses on Goethe's theory of colour, on the theory of the senses according to Rudolf Steiner and Hugo Kuekelhaus, and on integral star studies (astronomy, astrology and astrosophy).